Definition at line 540 of file TypeRecord.h. Definition at line 543 of file TypeRecord.h. Definition at line 544 of file TypeRecord.h. Definition at line 549 of file TypeRecord.h. 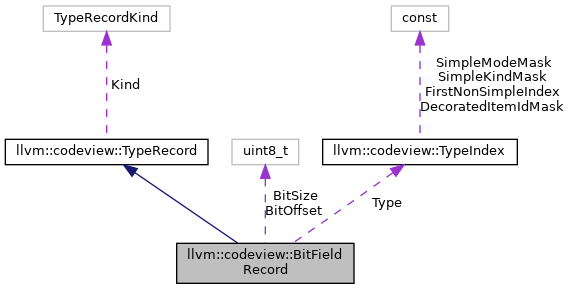 Definition at line 550 of file TypeRecord.h. Definition at line 548 of file TypeRecord.h. Definition at line 554 of file TypeRecord.h. Definition at line 553 of file TypeRecord.h. Definition at line 552 of file TypeRecord.h.